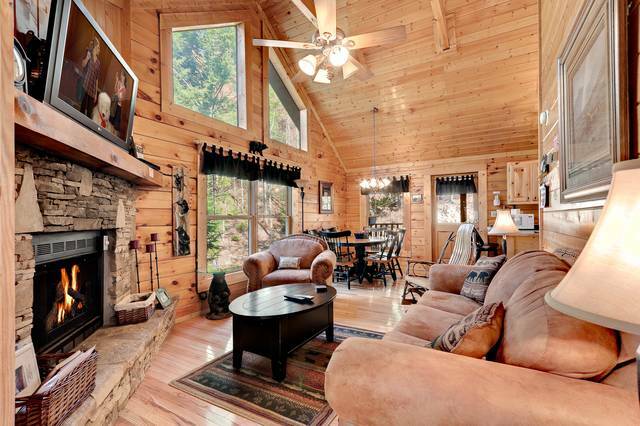 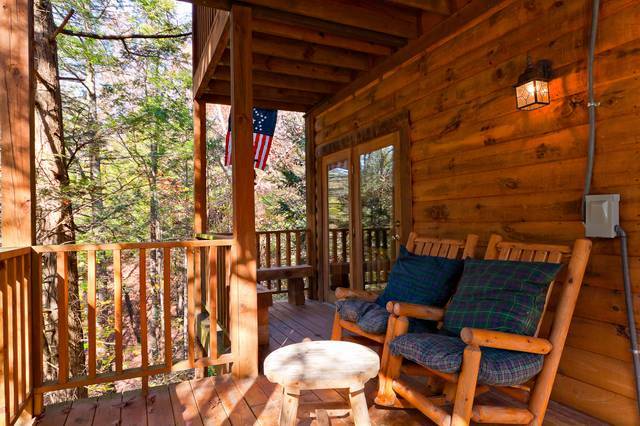 Escape to the Smoky Mountains in your own private and secluded log cabin and save with our monthly specials on Peaceful Serenity! 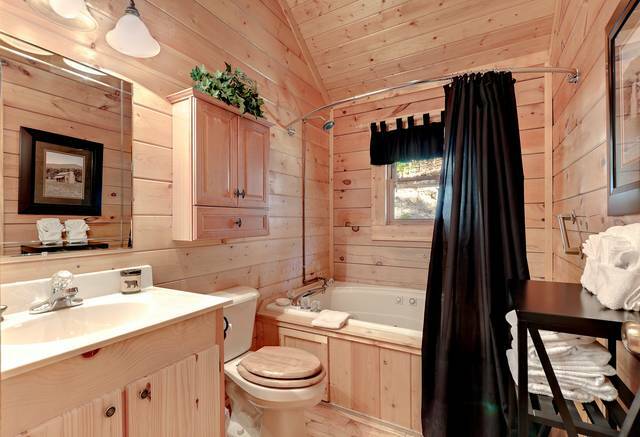 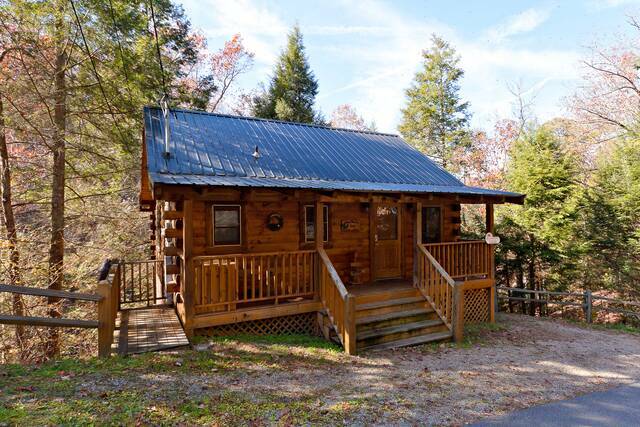 Peaceful Serenity cabin rental is the perfect cabin for couples with small children or for a spacious Honeymoon Cabin in the Smokies! 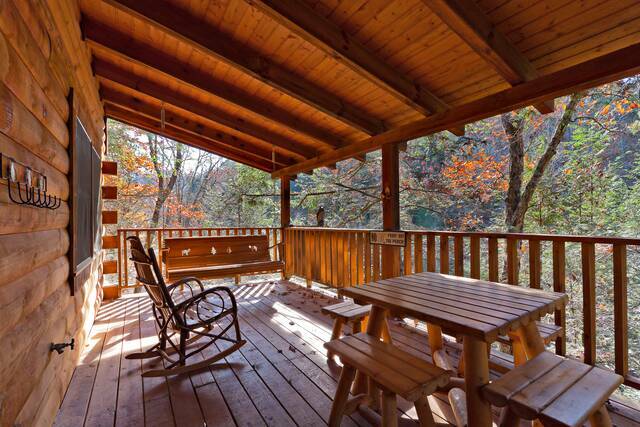 Nestled on a Smoky Mountain Ridge, over looking a small stream, sit Peaceful Serenity Cabin Rental. 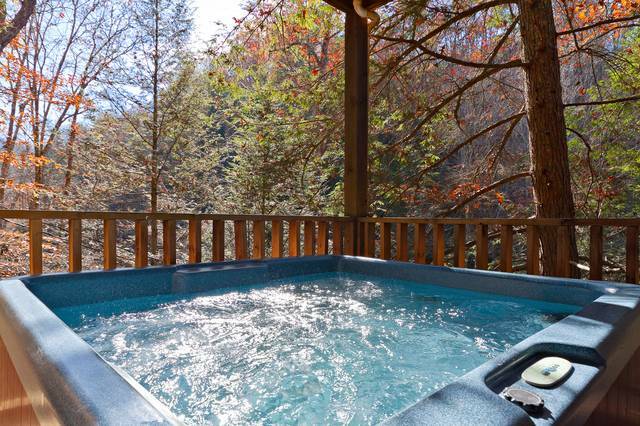 Experience a tranquil mountain setting yet minutes from the main Parkway in Pigeon Forge, Tennessee. 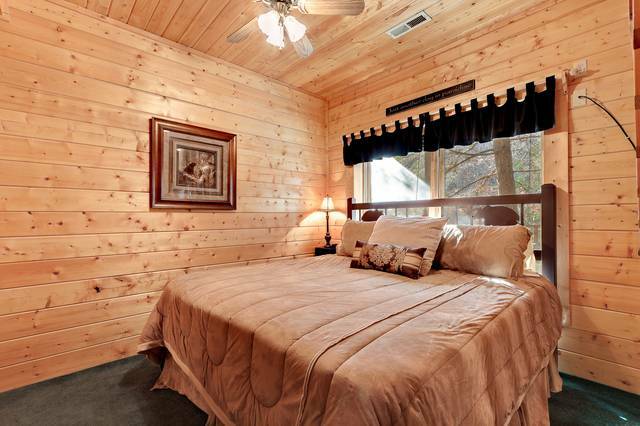 Peaceful Serenity has two floors of spacious living and features 2 King bedrooms, each with plush Tempur-pedic bedding plus their own TV's, private baths and Jacuzzi. 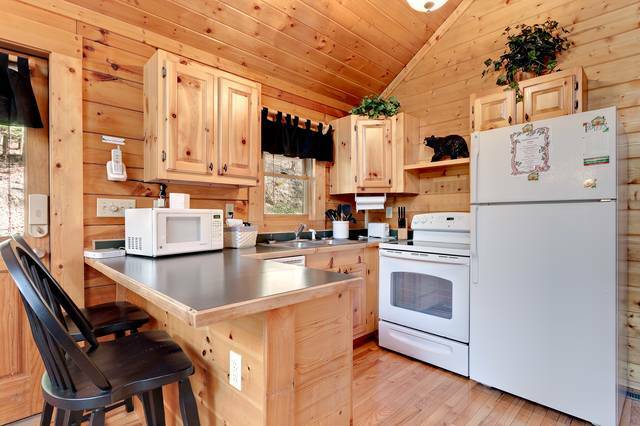 The main floor features an open floor plan with lots of glass for viewing nature at it best. 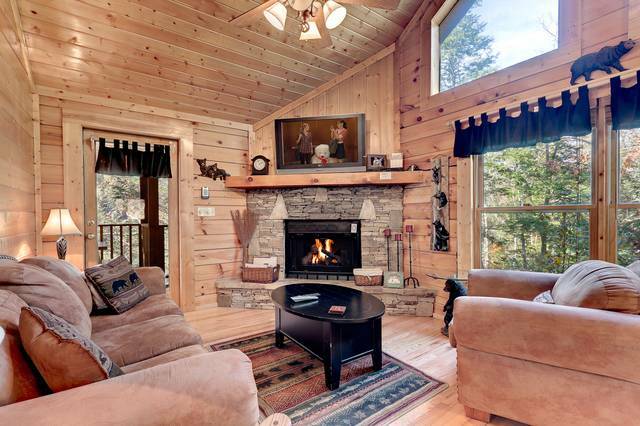 The living room features a gas fireplace, 40 inch HD TV with Cable and DVD player, unlimited long distance within the US and Virgin Islands and high speed internet. 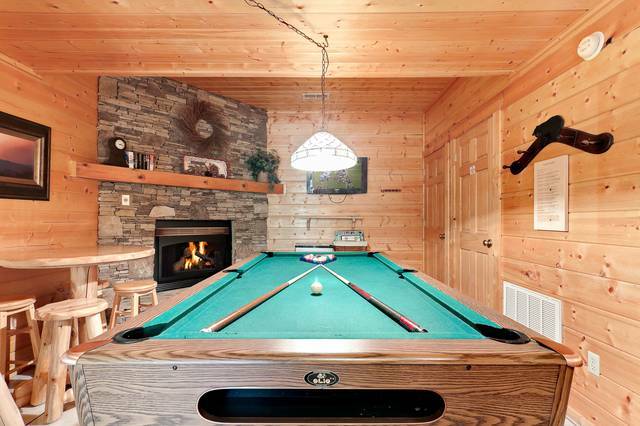 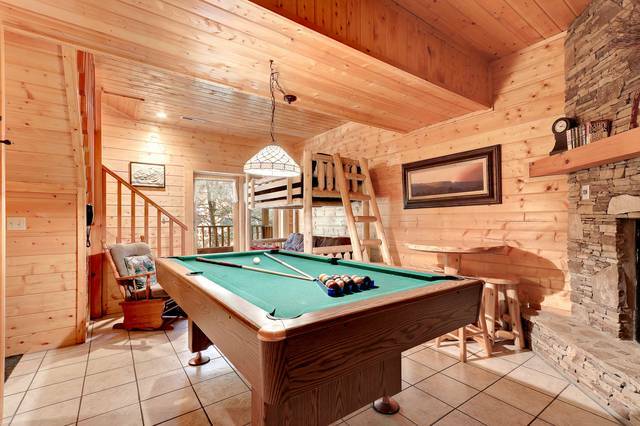 The downstairs features a game room with gas fireplace, TV and pool table plus queen/twin bunk bed, perfect for the wee ones. 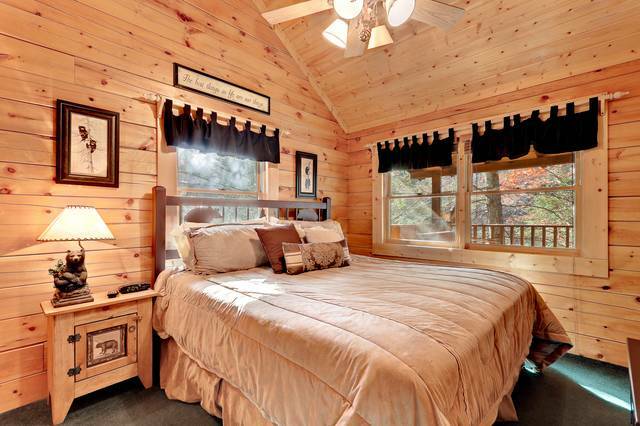 The second master suite is also on this flloor and features a king bedroom, TV and separate full bath with Jacuzzi. 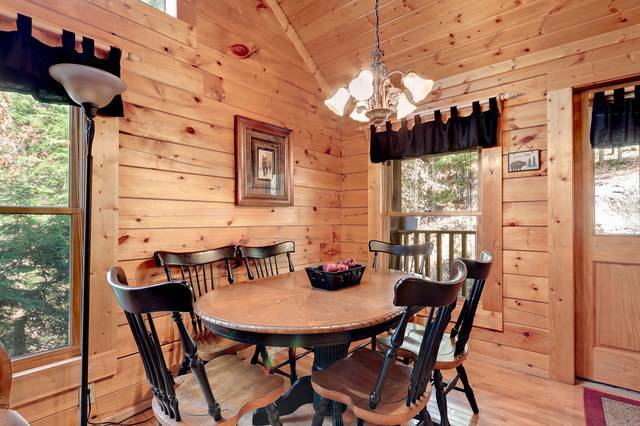 The covered wrap around porch is the perfect spot to relax either in a bubbly hot tub or with your rocking chairs. 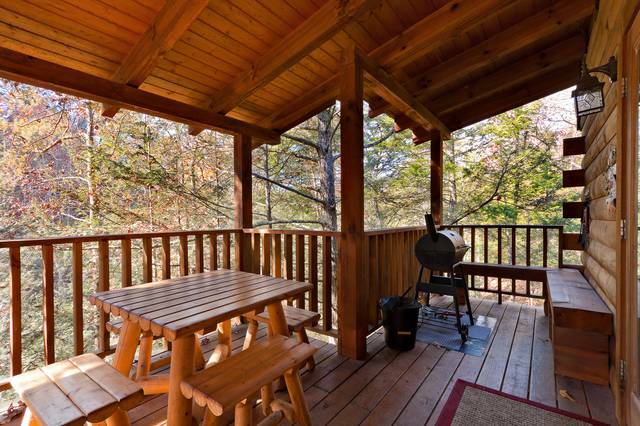 Enjoy the tree top views as you cook on the gas grill and dine on the custom log picnic table.